As less forward-thinking retailers have gone under in the past couple of weeks, John Lewis has been a high street success story, thanks in no small part to its multichannel approach. The retaier achieved a 44% increase in online sales over Christmas, so what lessons are there for other retailers? How important was the TV campaign in driving online sales in the run up to Christmas? Can you track/attribute this, and if so, how? Our 2012 Christmas TV advert was more multichannel than ever before. Although the advert being on TV was the driving force for the ad reaching our customers, activity on social media platforms was essential in creating a buzz around the launch date. The advert launched on YouTube (which so far has had over 3m hits) on 9th November 2012 and we announced this to our 35,000 followers on Twitter at 9am. We had 486 retweets of our proactive tweet announcing the launch and ‘John Lewis’ was trending in the UK. Statistics from YouGov also revealed that we had reached “26% of the UK Twittersphere with our Christmas advert”. The volume of positive feedback we received via social media showed that customer appetite to shop with us at Christmas was there, reflected in a spike in traffic to johnlewis.com after the ad launched on social media. For the online clearance sale that commenced on Christmas Eve, what tactic surprised you most with its effectiveness in driving your busiest ever day of online sales? We’ve been launching Clearance online twice a year for over a decade, so have had lots of experience in terms of what works well in order to ensure a successful sales period. In particular, our emails to customers play an important role and played an increased part in our marketing strategy over this period. 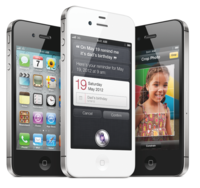 How big a factor was mobile in driving sales in 2012? Mobile and tablet shopping continues to exhibit triple digit growth, both in terms of traffic and revenue. It is difficult to track the influence that mobile has over offline sales, but I believe this is playing both a broad and significant role in how customers are choosing to shop. In a recent article looking at the factors behind John Lewis’ excellent online performance, we focused on factors such as effective PPC and a great web user experience. How important are these within the mix? Providing a great web customer experience is a fundamental component of our overall strategy to provide a great omnichannel customer experience. We try and put our customers into the heart of whatever we develop online, not just through website design and usability, but also in shaping our assortment strategy, our fulfilment proposition and more. How do you combat the threat of ‘showrooming’ in your stores? Do you see this as a challenge or an opportunity? Showrooming is an opportunity. We encourage customers to test our price commitment and adding wi-fi to our shops makes it easy for them to do so. When we supplement that commitment with good advice, service, trustworthiness and the instant gratification of making a purchase there and then, we believe we have a winning recipe. From our own research and research carried out by independent organisations we know that customers will use both johnlewis.com and our shops to both browse and buy. They will browse online and buy in a shop and vice versa. In some cases they will be in a shop and buy online via their mobile phone. Customers are no longer concerned about the channel they use they want to shop at John Lewis when and how they choose. You have introduced wi-fi in stores for customers. How has this worked out? It has proved very popular with our customers. We have seen really good usage and from the feedback we have received it is helping the customer journey as they access our mobile site. The dwell time for customers has increased within our catering facilities whilst customers use our free wi-fi. We have also instigated a trial in our Exeter branch where we have a number of iPads accessible to customers who can browse the internet free of charge. Thanks to collect in store services and next day delivery options, are you finding that customers were making purchases closer to Christmas Day than in previous years? Click and collect played an even stronger role in 2012 than in 2011, and this Christmas we were able to extend offering the service into our shops up to December 23 at 7pm, with delivery into the shops on Christmas Eve. We saw a 70% increase on last year for this late service. How do you attribute online sales driven by stores? Shops are not credited with online sales, however shops and online sales are all part of our total catchment sales. This enables the shop team to see how they in their shops contribute to the overall catchment result. It has helped us break down any barriers for Partners. For us it is not whether a customer shops online or within a shop, it is all about customers shopping with John Lewis. Responsive design is just one of a number of options available for businesses currently devising a mobile strategy, however it is seen by many to be the only sensible long-term option. For the uninitiated, responsive design allows websites to work from a single set of code that resizes itself to fit whatever screen a particular visitor is using, thereby negating the need for a separate mobile site. We previously investigated the benefits of the technology in our posts looking at why Google loves responsive design and this roundup of 10 brilliant examples of responsive design in ecommerce. But as with any new technology there are also potential downsides that businesses need to consider. Green is a great product marketing term. It’s almost perfect for every context, from those that are concerned about environmental impact, through to activists. In between, there is a cultural change occurring and it is having a deep and lasting impact on marketing. This middle ground is what I’d describe as Professional Green. This is a marketing space where brands can establish their credentials as aware, caring and proactive when it comes to The Environment. Unfortunately early attempts to mix product marketing with environmental issues were branded as “green wash”. That phrase was created purely as a negative response to the over-enthusiastic engagement by many brands that perhaps put more focus on being seen to be concerned about the environment, than actually having a positive impact. With publishers serving more and more of their audience through mobile and tablet devices, it’s no surprise that responsive designs are growing in popularity. From the BBC and Guardian to Metro and Express & Star, the number of publishers jumping on the responsive design bandwagon is growing rapidly and for good reason: there’s a lot to like about responsive design and done right, it’s pretty compelling.